We provide a range of services to clients working in both the private and public sectors. We can undertake small-scale research and development projects in any of the service areas listed below. Please get in touch with us to discuss how we can help you meet your research requirements or help engineer the right kind of cognitive ecology for your organization. Knowledge is a key asset for any organization. Knowledge engineering techniques can be used to elicit, capture and represent knowledge in a form that is accessible to both humans and machines. This supports the development of intelligent knowledge-based systems and services. 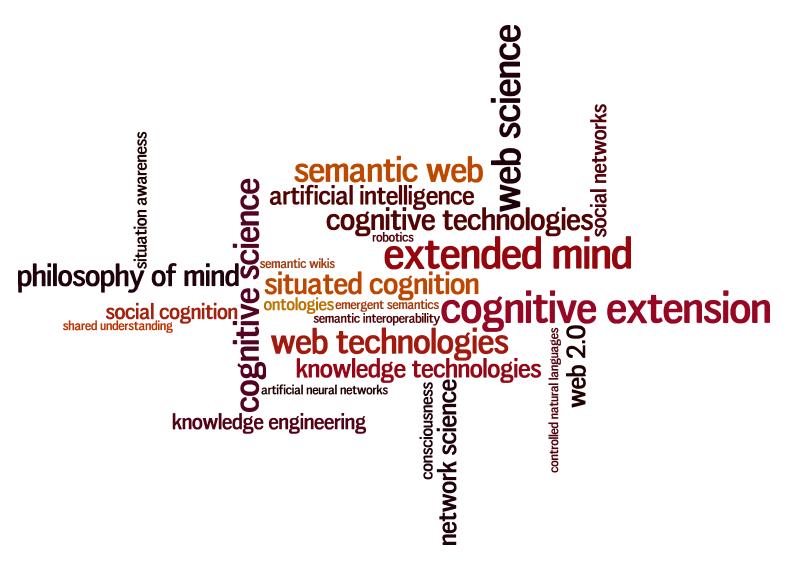 The Semantic Web is a set of technologies and standards that enriches the representation of online information. While much of the content on the conventional Web is intended for human agents, the Semantic Web provides the basis for a Web of machine-readable data that supports various forms of intelligent processing. Cognitive models are computational models of human cognitive processes in a specific task context. They can be used to test hypotheses about how cognitive tasks are performed by human subjects. They can also be used to investigate the effect of specific interventions, such as new kinds of user interface, on existing task performance. Our research and development activities are based on expertise with a range of technologies, such as the .NET Framework and Unity game engine. We are able to provide support for small-scale software development efforts that rely on these technologies. ADO.NET, SQL, SQL Server, etc. We can build models of socio-cognitive processes as the basis for experimental simulation. Cognitive social simulation techniques can be used to engineer team configurations and task environments that best support collaborative problem solving and distributed decision making. We have extensive experience of writing technical reports and papers for academic, corporate and government clients. We are able to offer technical writing services in any of our areas of expertise.